Alpinestars Karting Shoes - Tech 1-KX UNIVERSAL - Dezod Motorsports Inc - Home of the automotive performance enthusiast since 2002. Advanced hybrid construction consisting synthetic Leather and mesh affords ultra‐light weight, excellent breathability and superior feel. Mesh panels placed in the tongue, heel and side of the shoe offer excellent breathability. Lateral forefoot support offers improved stability and impact protection. Honeycomb frame design on lateral and medial sides provides flexion support and performance in driving position. Ultra‐thin Formula 1 specification sole uses Alpinestars exclusive rubber compound for pedal sensitivity and grip, in both wet and dry conditions. 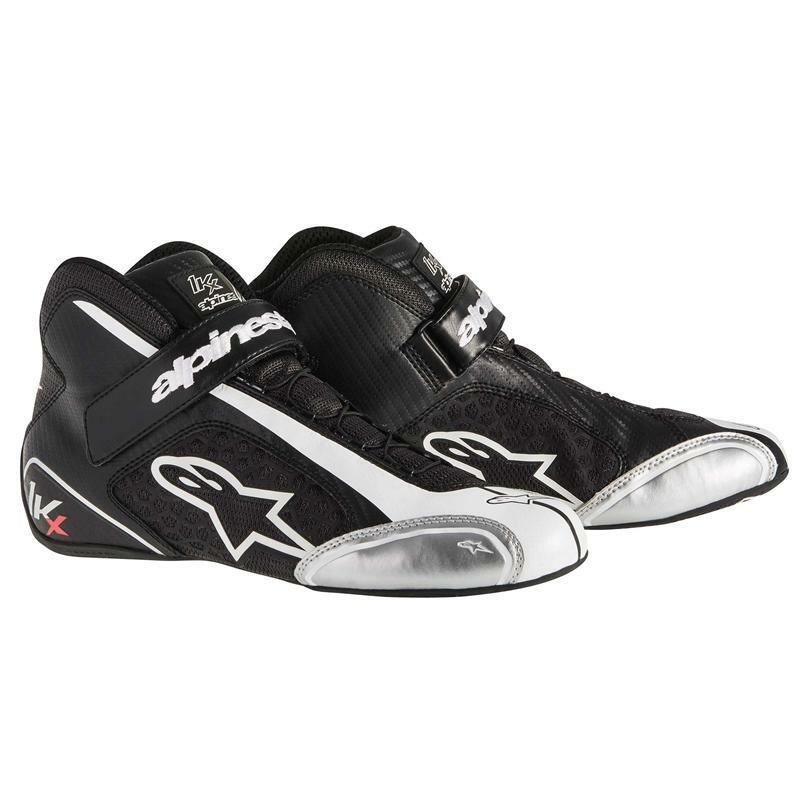 Innovative Alpinestars foot counter for maximum performance: an ergonomic, Polypropylene heel counter provides support and stability inside the shoe, while a flatter forefoot with die-cut ribbing provides greater feel on the pedals. Combination lace and Velcro® strap closure for a precise and secure fit. MotoGP-derived speed lacing system incorporates reinforcement which contains DuPont™ KEVLAR® fiber for durability and a quick, precise secure closure.